Bourgon Construction is a general contracting, project management and design/build company with offices in Kingston and Cornwall, Ontario. We work across Eastern Ontario and specialize in ICI and multi-residential projects in the $0.5M to $15M range. We’ve been helping to build – and now to re-build! – Eastern Ontario communities for over 60 years. We look forward to working with you to build the better buildings our communities and businesses need to grow and thrive. Over the years, Bourgon Construction has earned an excellent reputation with owners and design consultants for its personal, hands-on project management style, quality work and successful project delivery. Equally importantly, Bourgon Construction has established and maintained excellent working relationships with local authorities, subcontractors, tradespeople and suppliers, allowing us to consistently assemble reliable, cohesive teams focused on achieving project objectives. Our team of construction professionals includes experienced engineers, estimators, project managers, project coordinators, superintendents and field staff. 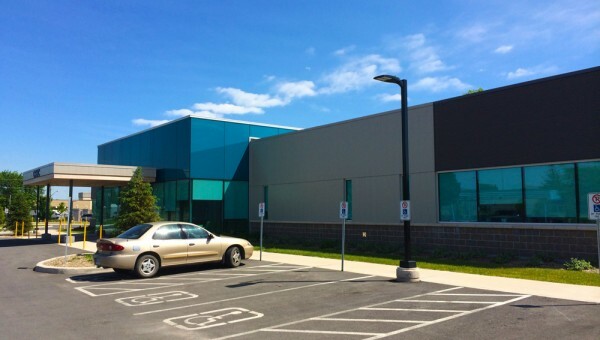 Our team includes professional engineers with consulting experience, one of which is also a Project Management Professional (PMP) with established credentials in construction management (the Canadian Construction Association’s Gold Seal for Project Management) and sustainable design and construction (the Canada Green Building Council’s LEED® Accredited Professional designation). Our project managers and superintendents have extensive construction experience, rounded out with business and carpentry experience. A list of our key personnel is provided to the right. As important as who we are is how we work – see Our Approach for details. We are also always interested in meeting professionals interested in joining our team: see Careers for more information. Bourgon Construction distinguishes itself from many general contracting and construction firms with our very personal, hands-on approach to construction project management. We are proud of the fact that we “blur the lines” between project managers and construction superintendents as often as possible. Our aim is to maintain a small staff of creative professionals who can do it all. Once one of our managers is assigned to a project, they generally see it through from tender to completion, thereby providing owners, consultants and subcontractors with a single point of contact throughout the life of the project. This continuity facilitates communication, simplifies decision-making on site and ensures accountability. During construction, we aim to deal with all questions and changes personally and expeditiously, and we are always mindful of the impact changes will have on the owner’s budget, the project’s schedule, and the quality of the finished product. Bourgon Construction maintains several professional qualifications and affiliations. We are a member of the General Contractors Association of Ottawa, the Ottawa Construction Association, the Kingston Construction Association, the Cornwall Construction Association, and the Tarion Warranty Corporation. We hold a professional engineering Certificate of Authorization from the Professional Engineers of Ontario, and hold professional designations with the Canada Green Building Council, the Project Management Institute and the Canadian Construction Association’s Gold Seal Certificate Program. We are also an authorized dealer for high-quality pre-engineered steel buildings designed and manufactured by the American Buildings Company, a leader in the industry. Please see Our Services for more information.